SAN ANTONIO, Oct. 18, 2018 /PRNewswire/ -- In what is expected to be its largest effort yet, the Avanza Network ("Avanza") is holding its annual conference and community outreach event from Oct. 18-21, 2018 in San Antonio, Texas, bringing together MIT Latino alumni and friends from across the country to once again promote higher education to students and their parents, focused primarily on economically depressed or underrepresented communities. The group of volunteers consists of a diverse range of professionals, including engineers, doctors, educators, entrepreneurs, politicians, and scientists that plan to visit with thousands of students across over 20 high schools. Since its formation in 2011, the group has reached out to and inspired thousands of high school students in cities across the country. In recognition of Avanza's outreach efforts, MIT just awarded the MIT Great Dome award to the group at its annual Alumni Leadership Conference in September 2018 in Cambridge, Massachusetts. "Most of Avanza's members grew up in low-income, underserved communities. But we managed to overcome tremendous challenges and go to world-class universities like MIT. In effect, overcoming these complex situations equipped us with the determination necessary to tackle the immense challenges we face today. But we didn't do this alone," says Marisa Zepeda, head of Avanza's School Outreach Efforts. "We each had at least one person who inspired us, who pushed us to work hard and aim high. We graduated from college thanks to those who came before us and opened the door. It's now on us to keep that door open." "Avanza's mission of reaching out to students and conveying the transformational power of a college education is so important, now more than ever," says San Antonio Councilwoman Ana Sandoval. "Through our stories, we are telling these kids that regardless of your socio-economic status, with hard work and dedication, a college education is absolutely possible. We aim to inspire today's youth to arm themselves with one thing that levels the playing field, a higher education." In addition to meeting with students, Avanza members also will meet with local educators and the press to partner in the group's goal of increasing college attendance and college graduation rates within the Latino and underserved populations. Each school visited will receive volume 1 of the Avanza book, "The Transformational Power of an Education." The book is a compilation of inspiring life stories of several Avanza members and their diverse paths towards a higher education and successful career. The book is available online at bookstore.weeva.com/products/Avanza. Avanza Network is fiscally sponsored by FJC, a 501c3 public charity, and was founded by MIT Mexican-American alumni and friends who are dedicated to the empowerment and advancement of current and aspiring Latino professionals and members of underserved communities. Through its grass-roots efforts, Avanza stimulates Latino and underserved communities to achieve full potential by raising awareness of the transformational power of a college education, increasing college graduation rates for these groups, emphasizing the benefits of diverse career paths, highlighting the key benefits of STEAM careers, and cultivating the group's pipeline of talent through the professional development lifecycle. 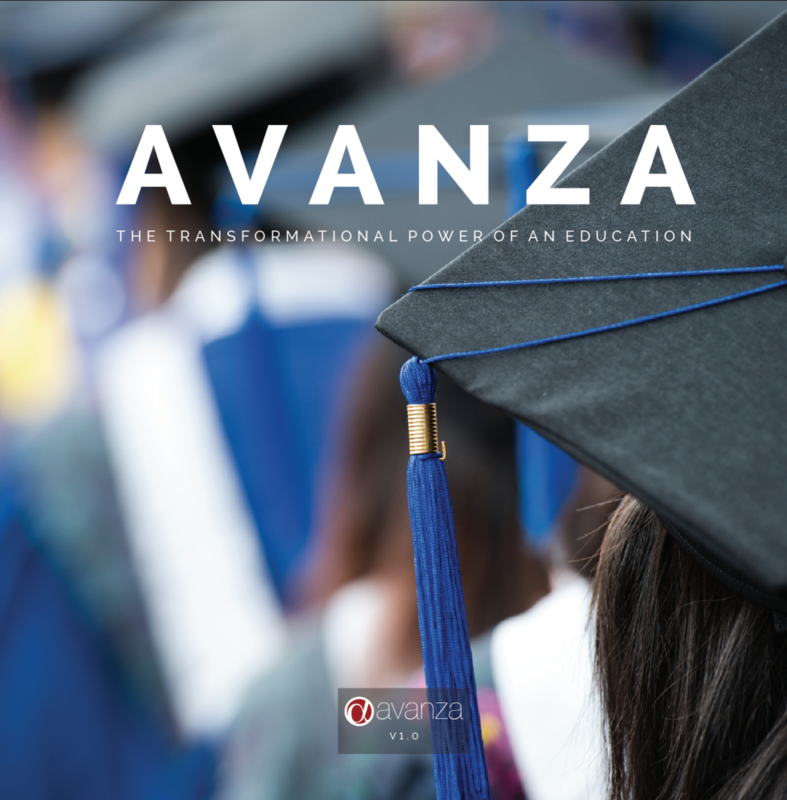 For more information on its grass-roots outreach efforts, the college application process, or other tools for college-bound students, visit www.avanzanetwork.org or follow MIT Avanza on Facebook and LinkedIn.